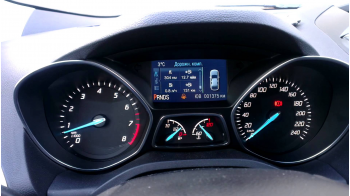 Original top dashboard configuration Titanium with great colour and 4.2" screen for Ford Kuga 2 (2013-2016). Suitable for any equipment with a gasoline engine. Does not require additional firmware to work in the car.